Back in 1968, 7 humans and a dog crash landed their spaceship, the Spindrift, in the Land of the Giants. Since everything in this land was gigantic, even the smallest of creatures posed a huge threat to the group. 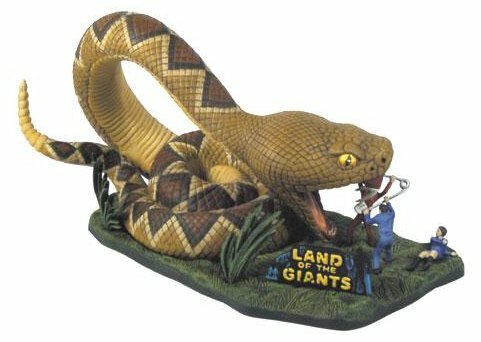 This model kit depicts the day that the group ran into a giant snake, and their only weapon against this formidable foe was a discarded safety pin. 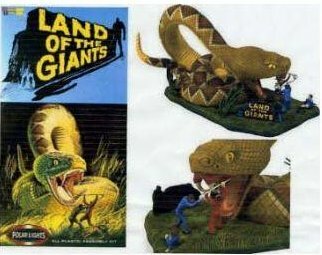 This plastic model kit comes with a giant snake, grass platform, three characters and a safety pin. Paint and glue (not included) are necessary to complete model. Recommended for ages 10 and up. It was September 26, 1968 and a new television show by Irwin Allen debuted called Land of the Giants. The first episode, The Crash, set the stage for the 2 year television show. Seven people and one dog (every good show has to have one) crash landed their spacecraft, the Spindrift, on to the Land of the Giants. Feeling like the Lilliputians in the time of Gulliver's Travels, the group must overcome some of the simplest, daily tasks: not being run over by cars, being picked up by a giant baby and played with, or being eaten by a hungry cat or nasty tarantula spider. It's a dog-eat-dog world out there, and the space-traveling team must find their way home or survive in a land larger than life. Land of the Giants. 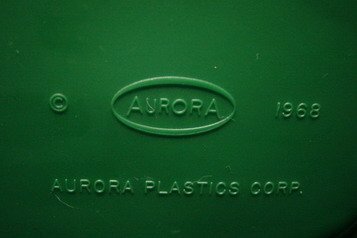 Merely mention the classic television show and you think of three things: Irwin Allen, the Spindrift, and the Snake Scene produced by Aurora in the 60's. 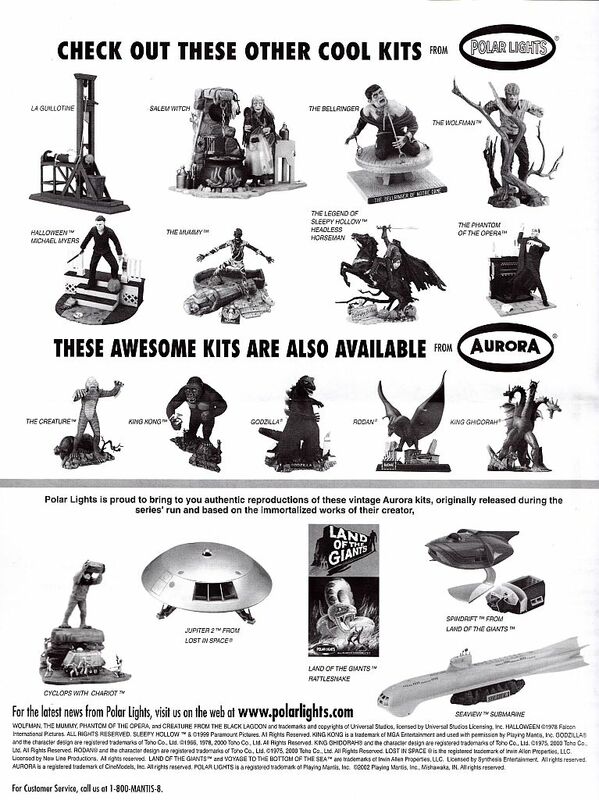 Now, Polar Lights� is bringing you that classic scene in a new kit set to debut in Sept of 2002. 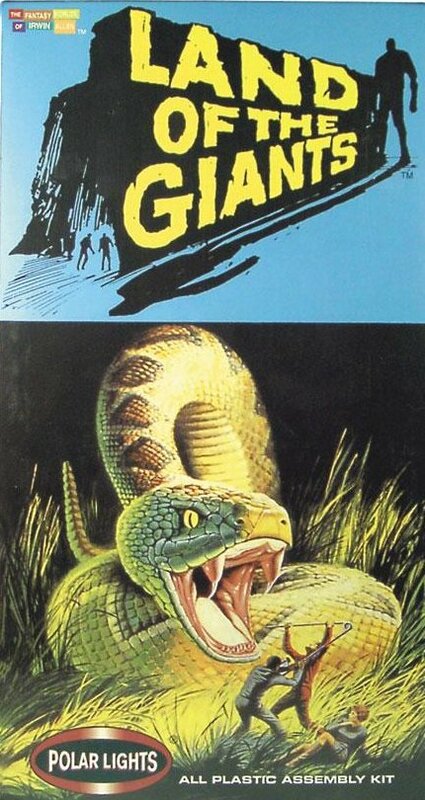 Produced in 1969, the original Land of the Giants Snake Scene by Aurora depicted a day in the life of this traveling group as it encounters a simple reptile but to them it's disaster at every corner. Their only weapon: a discarded straight pin. Today, the original kit will range anywhere from $200 to $800 in value. Model Kit Includes: All plastic pieces to complete model. 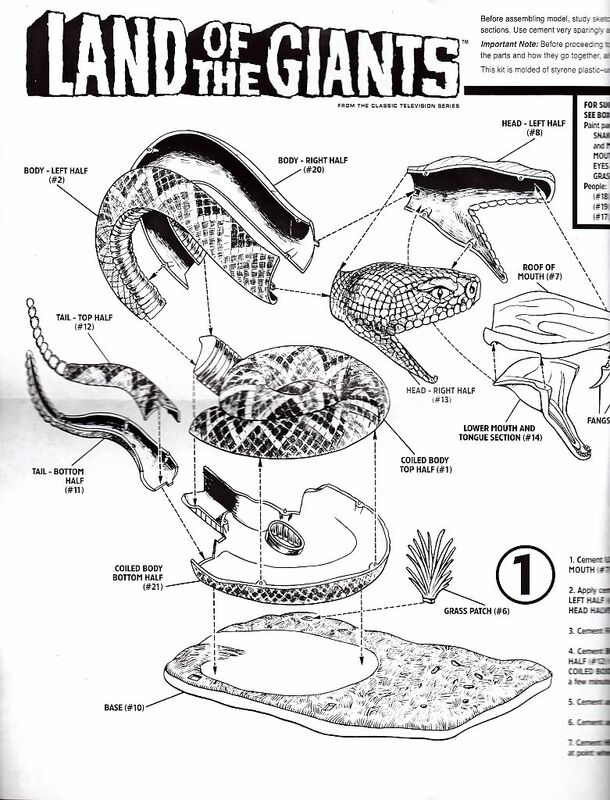 Pictorial instructions sheet describing assembly.